Recently, Alibaba Group announced that by Nov 30 in 2012, total Taobao sales (including Tmall and Taobao.com) exceeded 1 trillion yuan (USD160 Billion). During last month’ Bachelor’s Day Promotion, Taobao accomplished sales of 19.1 billion yuan (USD3.07 billion) in only one day. Not only did this figure reflected the strong consumer demand, but also represented the great growth of consumption, mostly generated from third- or fourth-tier cities. Clearly, the consumption growth of third- or fourth-tier cities, which was 60%, was much higher than that of first- and second-tier cities. Meanwhile, enterprises in Yangtze Delta and Pearl River Delta, who previously hindered by limited exports, now have ushered in new opportunities following the trend of e-commerce. Behind this 1-trillion-yuan transaction, China netizens should see the enormous change in the environment of e-commerce. When firstly appeared, some people criticized that Chinese e-commerce could not pull down the three “mountains” of credit, logistic and payment. Until now, China internet users have credit evaluation systems to insure the internet trading safety, such like Taobao’s transparent one whose transaction figures and credit records are available to consumers. They have convenient online payment system such like Alipay. They also have complete logistic system to support the incredible development of e-commerce. Alibaba’s exploration represents the growth of Chinese e-commerce. In 1999, Alibaba was founded in Hangzhou. Many trading enterprises began to take in oversea orders through this channel. Taobao.com was first established in 2003, accomplishing only 22.71 million yuan (USD3.64 million). And the transaction rose to 1 billion (USD160 million) in the next year. We shall not ignore the key event in 2003, the setup of credit evaluation system. Since then, Taobao dropped into the flourishing growth with the transaction rising from 8 billion yuan (USD1.284 billion) in 2005 to 1 trillion yuan in 2012. At the same time, the whole transaction on the Internet reached 2 trillion yuan. Driven by new consumption mode in Internet environment, e-commerce has become the dominant business model. With strong data processing and promising prospect, e-commerce will be the major force to deliver profound changes for retailing industry and boost domestic spending. Take logistics industry as an example. 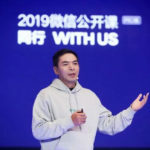 By 2011, daily amount of parcels of Taobao.com and Taobao Mall (Tmall’s predecessor) surpassed 8 million (USD1.284 million), accounting for 60% of the whole. In H1 2012, this number increased sharply to 12 million and even soared to 72 million on Bachelor’s Day. There were 64,000 branch networks and more than 700,000 people employed in 2011. Chinese logistics market is worth 70 billion yuan (USD11.24 billion), the third highest in the world. A new economy represented by e-commerce is incredibly changing the development pattern of Chinese economy. According to data from the Office for National Statistics, retail sales of consumer goods in the whole country totaled 18.39 trillion yuan and 1 trillion yuan accounted for 5.4%. Obviously, e-commerce has already become a huge emerging economies and will experience rapid growth for a long time to come.